MIS are the methods used for the processing of information with the utilization of computers and intelligent systems to support better decision making within the organization. Management of information systems can include concepts like decision support systems, expert systems, transaction processing systems, and executive information systems. In the academic scenario, the term is often associated with the study of business. Fields of study like information technology, computer science, informatics, e-commerce, information systems are closely related to management info systems. This subject is studied as a part of the management program and in many universities, they even offer specialization in MIS systems besides finance, marketing, human resource management, management, accounting, etc. Management information systems have been developing rapidly since the past several decades with the advancement in technology. The earlier MIS systems were designed by IBM, it involved mainframe computers and they were large and required considerable space. The mainframe computer of IBM required a separate staff to operate the computer. Then came the minicomputers, they dominated most of the early 60‘s. After the introduction of personal computers with the invention of microprocessors, the whole dynamics of MIS changed and it moved from large data centres to smaller offices. After the 70’s, there was a substantial decline in the price of computers and companies could provide their employees with computers and this has ever since revolutionized the management information systems. In a business, there can be several MIS operating at the same time fulfilling the different requirement of the different divisions within an organization. The senior management might require information that could help them with business planning and decision making. The middle management may require information in accordance with the activities relating to the functioning of the business. Sometimes the employees may also require MIS to know their duties. Some of the types of management information systems are listed below. Executive support systems (ESS) – This system is for the senior management, it helps the management to make strategic decisions. ESS uses the internal and external information of the business through modeling and data analysis tools. 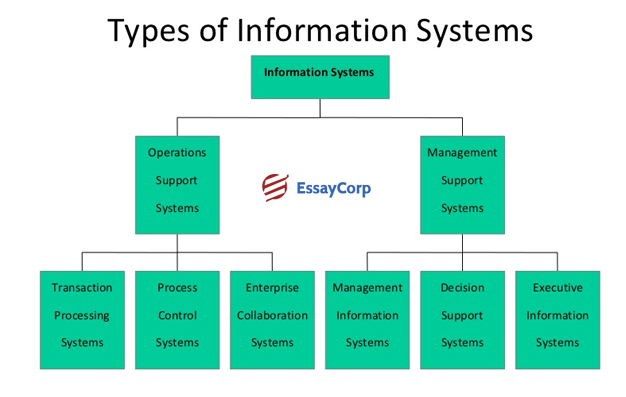 Business management information systems (EMIS or MIS) – The main function of this information system is to analyze the internal source of information. It uses the transaction processing systems to prepare management reports. These reports are utilized by the operational and the middle level managers. Decision support system (DSS) – This type of system is designed especially to assist the management in decision making in circumstances when the outcome of the decision is uncertain. DSS utilizes spreadsheet and database to provide interpretable information to complex problems. 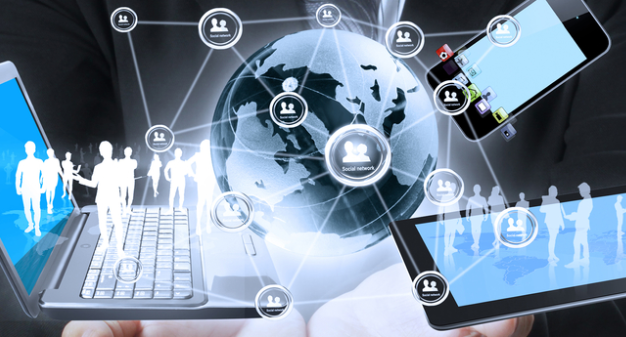 Knowledge management systems (KMS) – It is used to generate and exchange information within the organization. It is done in organizations where employees generate new information and expertise in the field and it can be shared with the other employees in the organization. It is usually practiced in organization or firms like lawyers, management consultants, and accountants. Transaction processing systems (TPS) – Every business applies TPS for the processing of various transactions. Few examples of TPS can be the billing system used to generate invoice and send it to the clients, systems used to calculate the weekly, monthly, and the yearly payroll and tax payment, keep a track of the raw materials purchased and sold, control of stock within the business. Office automation systems – It includes a wide range of software that increases the productivity of the employees. The software like MS Office, systems that regulate the working of employees from home are office automation systems. The purpose and importance of management information systems can be observed in the acceptance of this system in almost all the companies around the world whether big, medium or small. Every company applies some or the other form of MIS for the daily functioning of its activities. Some of the importance of management information system resources are described below. Every organization has multiple functional departments; the department includes financial systems, customer support, sales systems, logistics systems, human resource systems, etc. MIS combines all the information from different departments to help the managers better manage the activities of a business. This is one of the core functions of management information system. The most important aspect of management information system is to help the managers make decisions. This is the core feature as the basic purpose of MIS is to make the business process easy and profitable. MIS is not to be misunderstood as a specific combination of systems that fulfills the business needs. It can be developed to match any of the organizations requirements. CRM and ERP are important examples of systems developed for a specific activity in an organization. It can help the assessment of performance of individual departments, this allows for the less performing department to evaluate its previous performance and determine the areas where change is needed. There are several MIS systems that are used by organizations for their daily activity. Before including any management information system into a business a detailed analysis of the requirement of the system must be made. If the cost of MIS is more than the benefit it brings to the business, then such a system is useless and fails to serve its primary function and thus, must not be implemented.